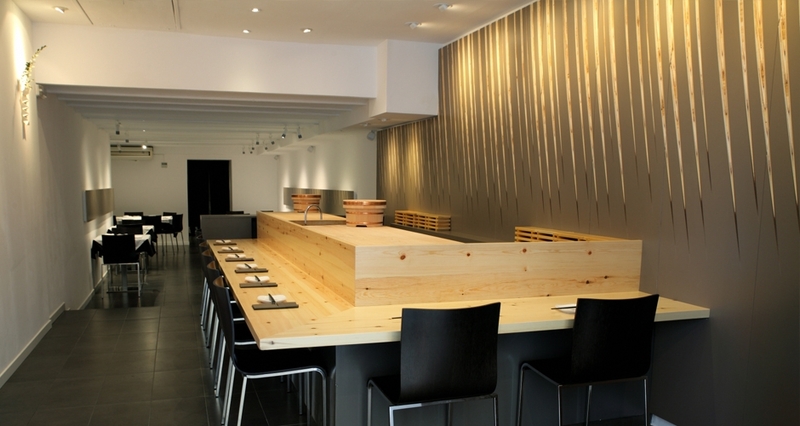 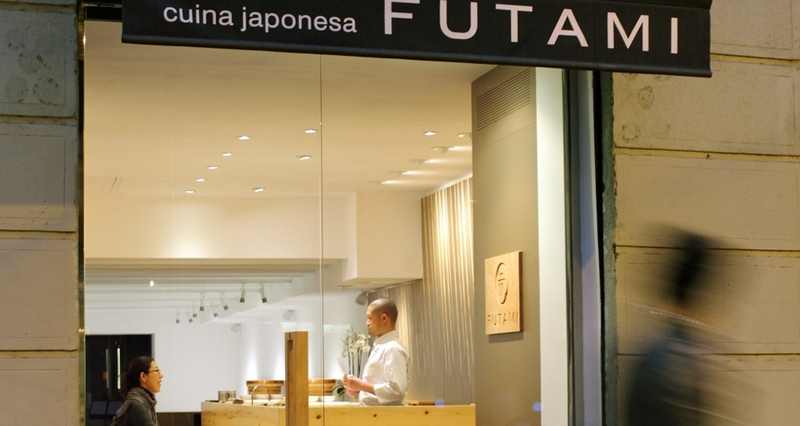 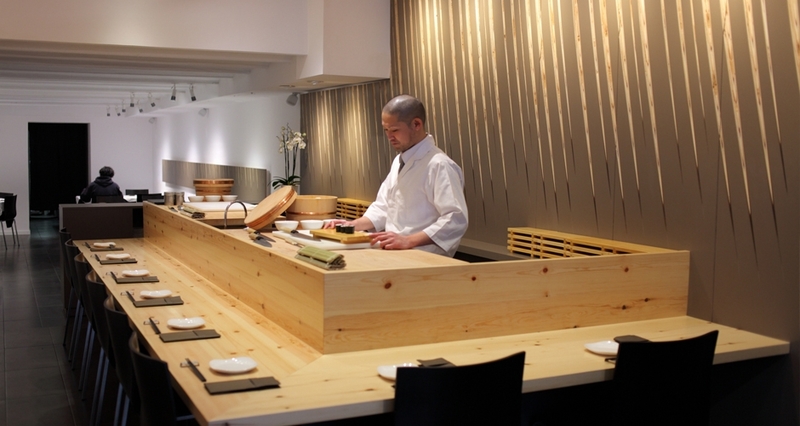 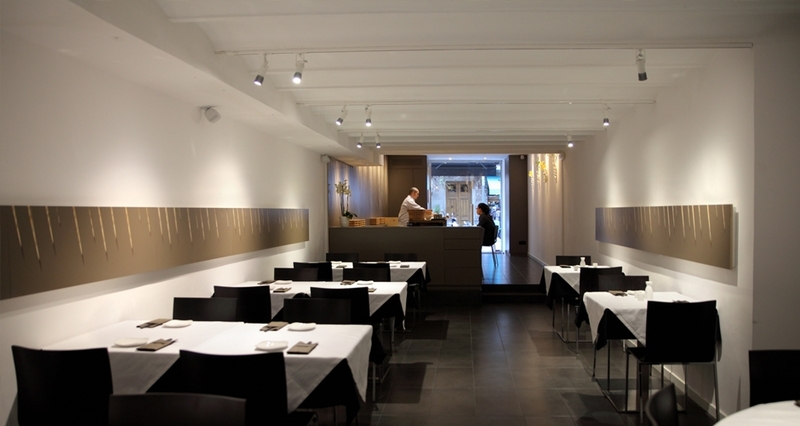 Futami is a Japanese creative cuisine restaurant located in the center of Barcelona. 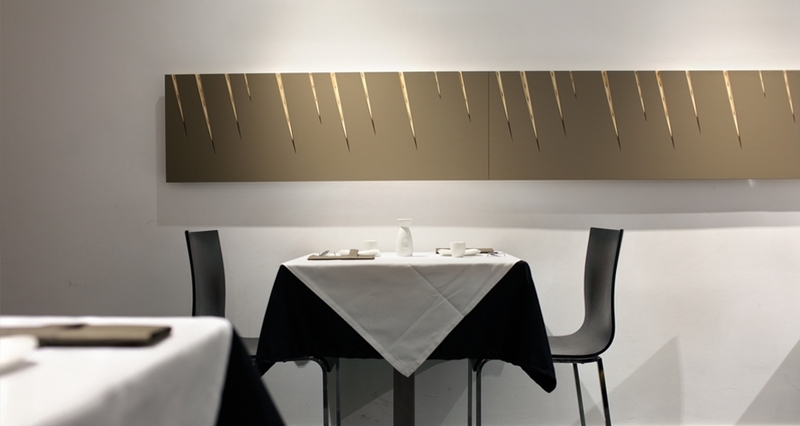 The intention of Kobfuji Architects was to create a setting in which the Japanese tradition and Western culture merged. 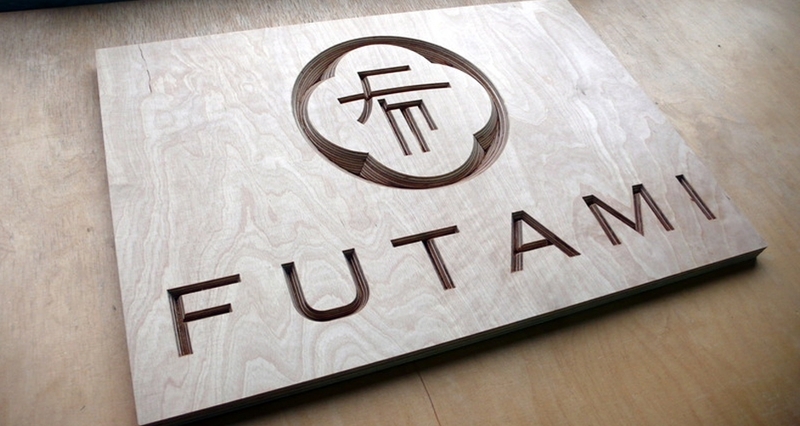 Kobfuji proposal is based on two main aspects: highlight the bar area, core of the restaurant; and use a decorative element to the dining area to unify the space. 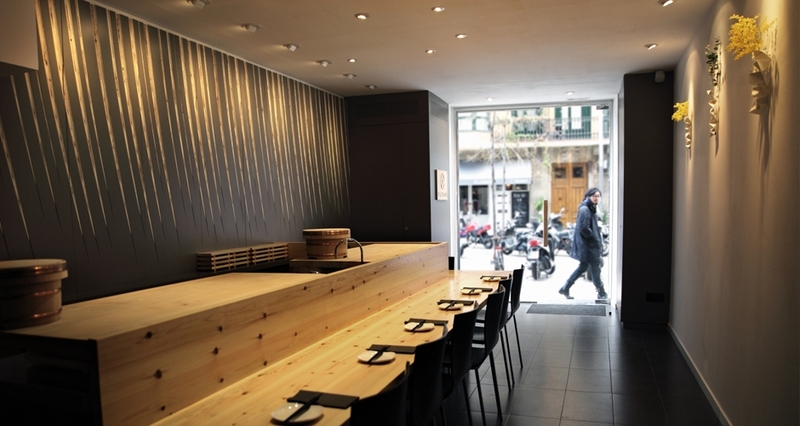 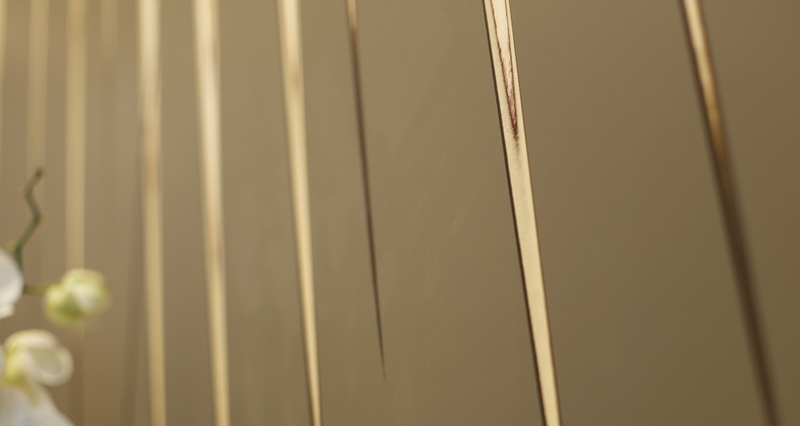 It is here where we intervene, developing a carved paneling, suggesting bamboo canes moving with the wind, as the original idea of the Japanese architect couple settled in Barcelona. 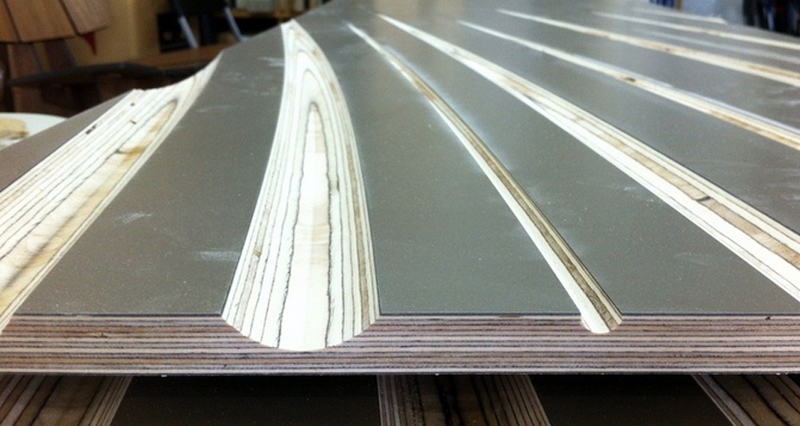 We suggested to Kobfuji Architects to work with engineered panels in order to reveal layers of wood inside. 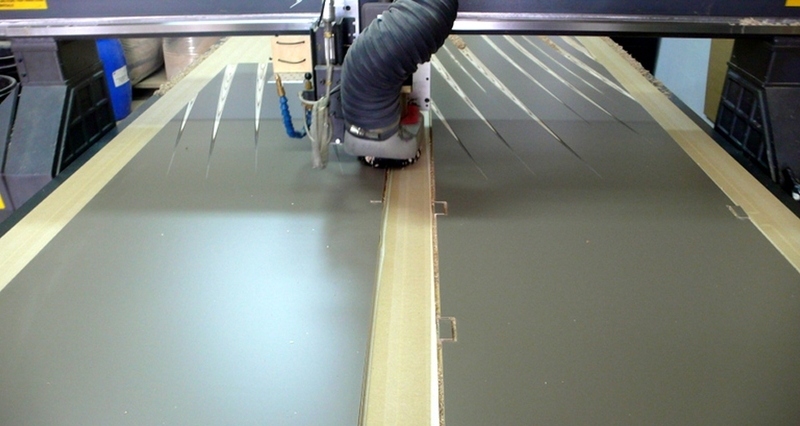 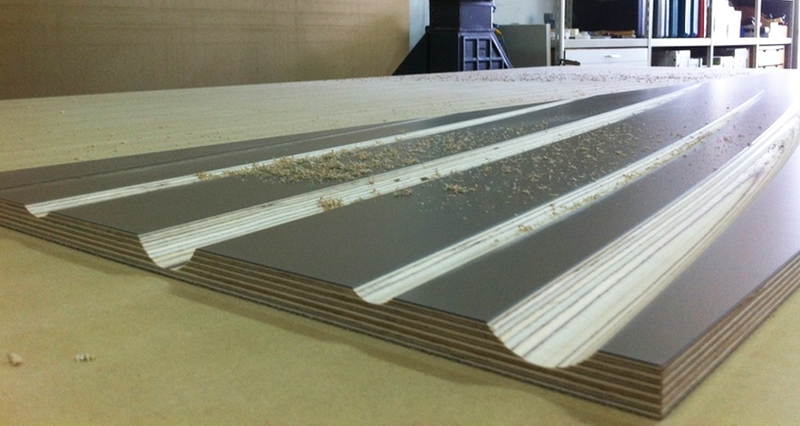 We use plywood birch laminated in Formica, for a durable surface, while elegant and decorative. 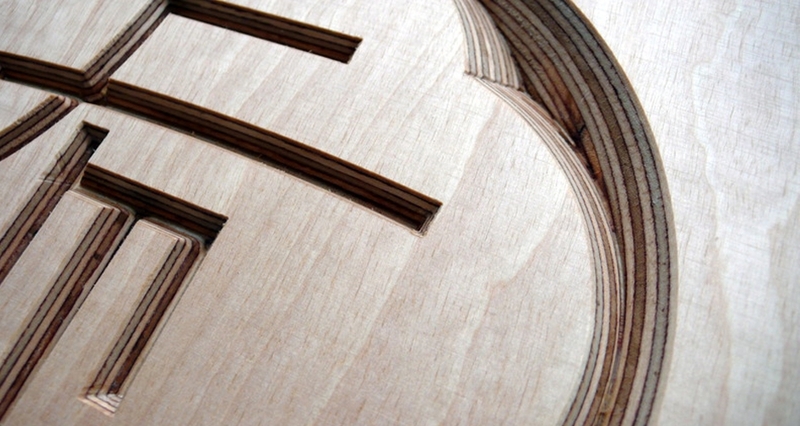 The finishing emphasized wooden layers with natural oils.